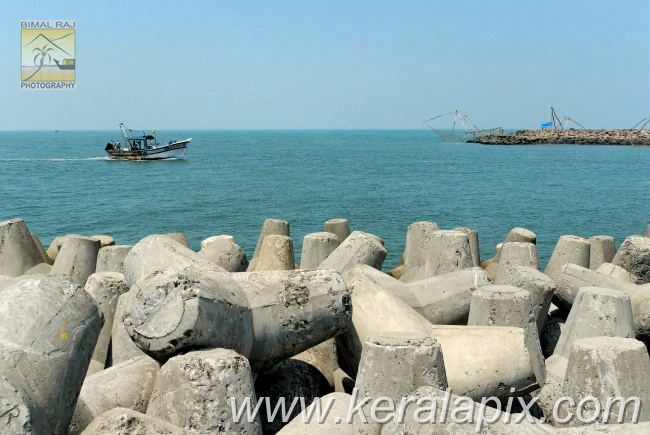 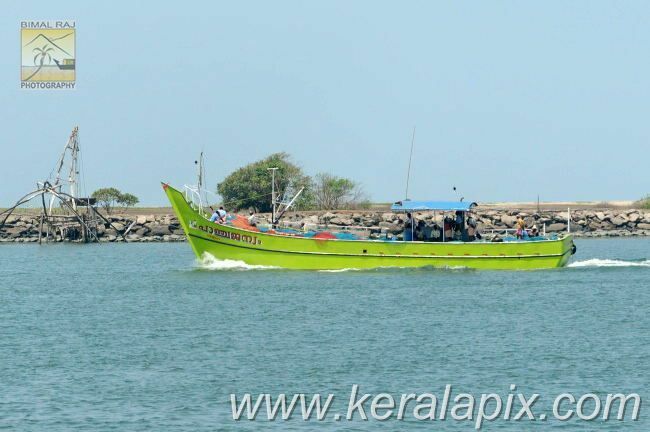 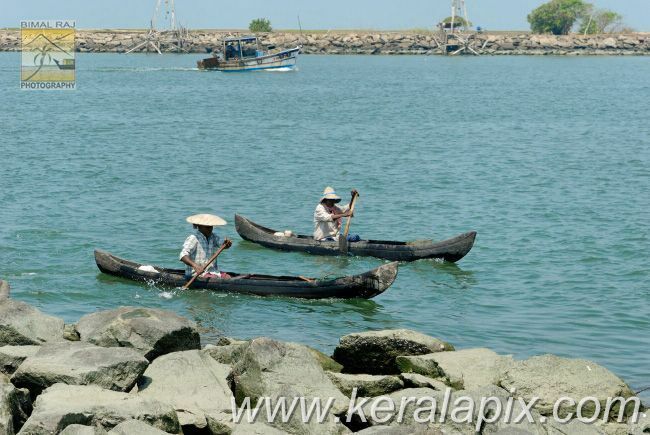 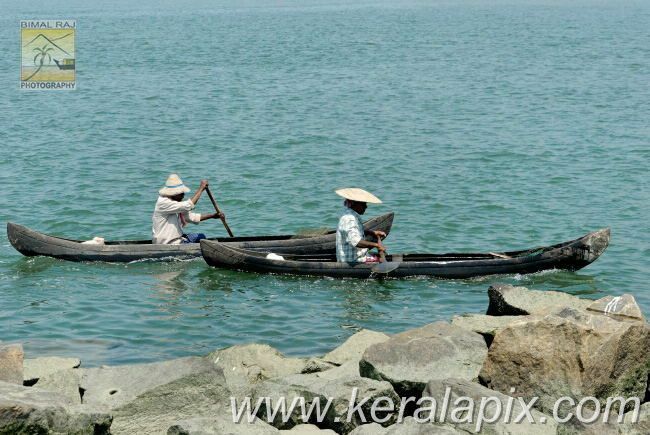 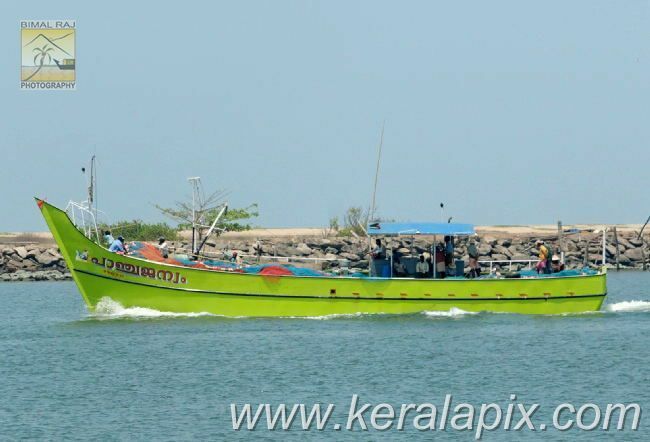 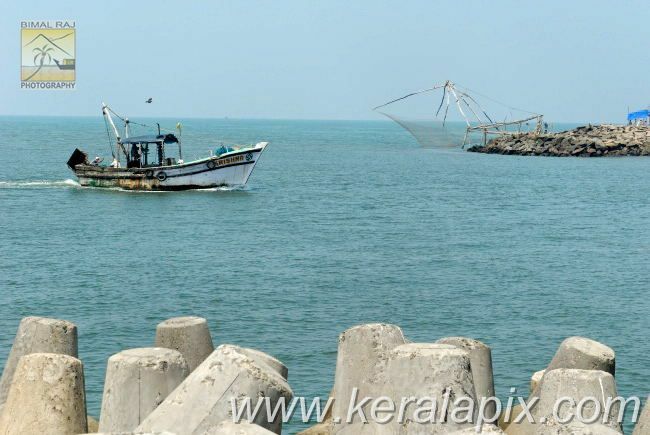 The Munambam fishing harbor is situated about 5 km north of Cherai beach and is the northern tip of Vypeen island. 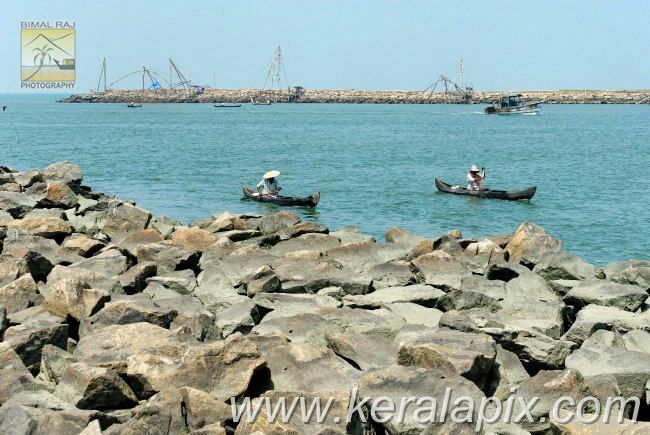 Munambam is surrounded by Arabian Sea at west, end of Periyar river at east and the mouth of sea at the north side. 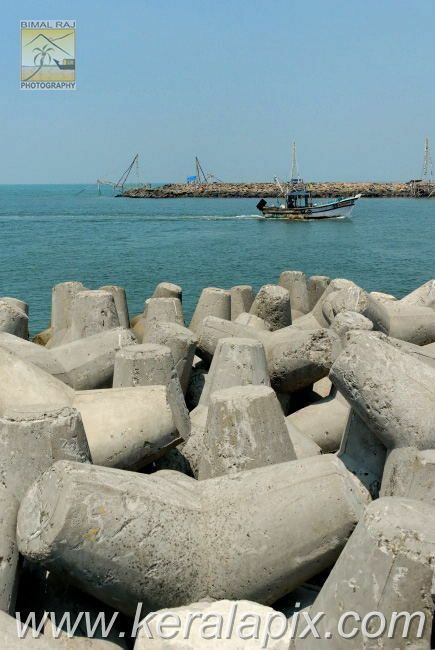 To protect the harbor mouth, two ramparts are constructed into the sea to about half kilometer using granite stones and concrete blocks. 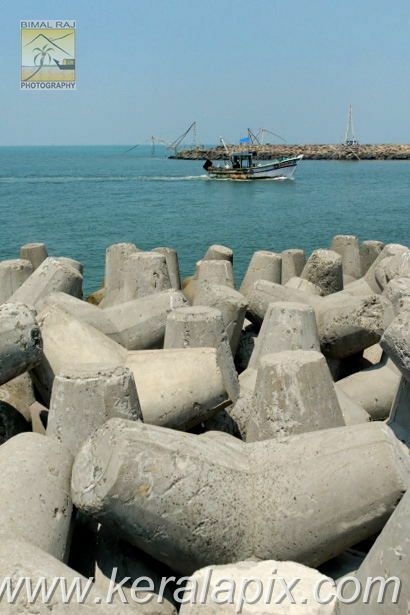 A lot of Chinese fishing nets which looks like huge spider webs adorn these earthworks. 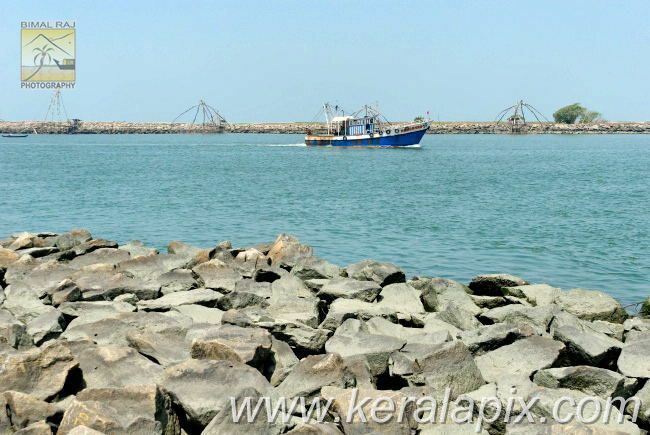 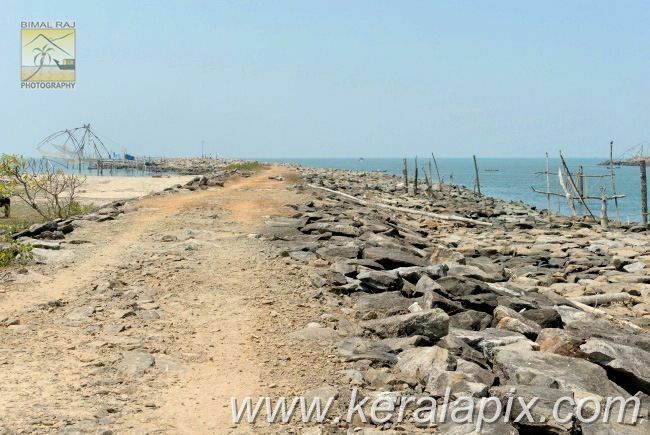 The southern embankment that stretches out into Arabian sea at Munambam harbor mouth. 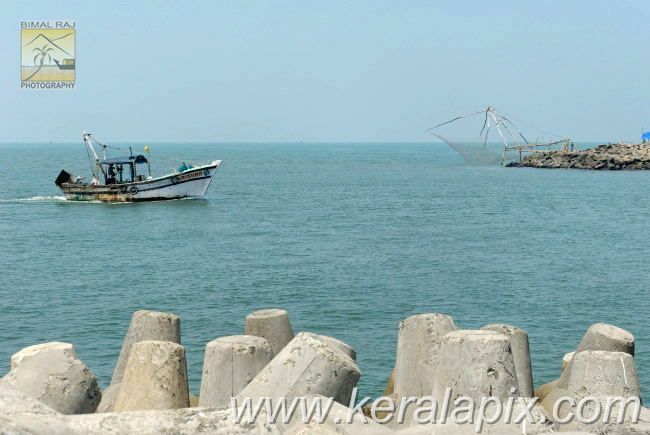 At a distance, you can see the Chinese fishing nets. 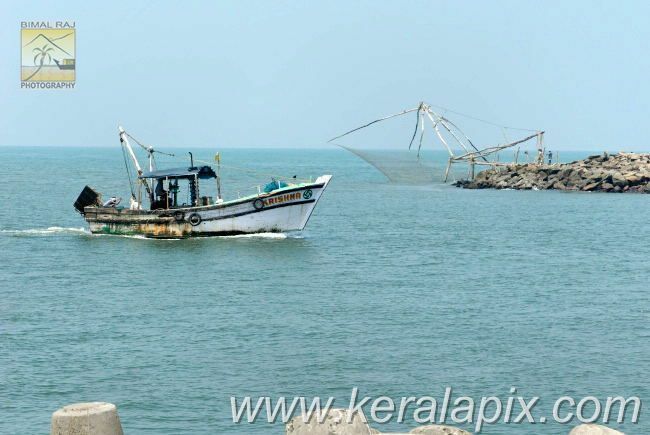 A fishing boat entering the harbor from sea. 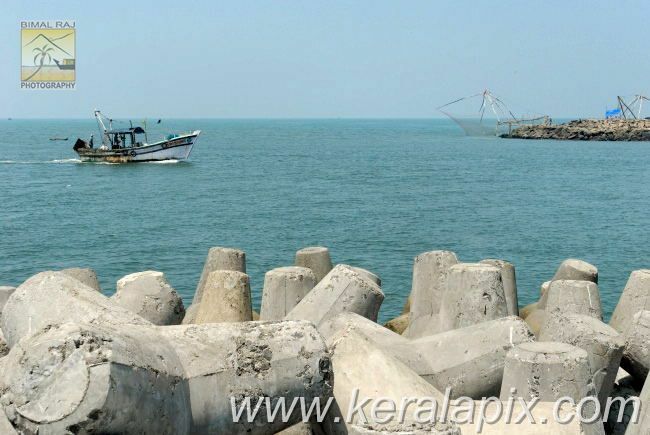 The northern embankment is seen on the other side of the backwater. 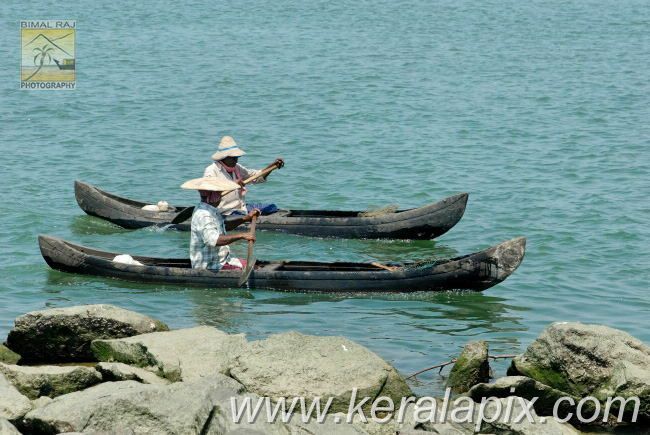 Two local fishermen in their small country canoes. 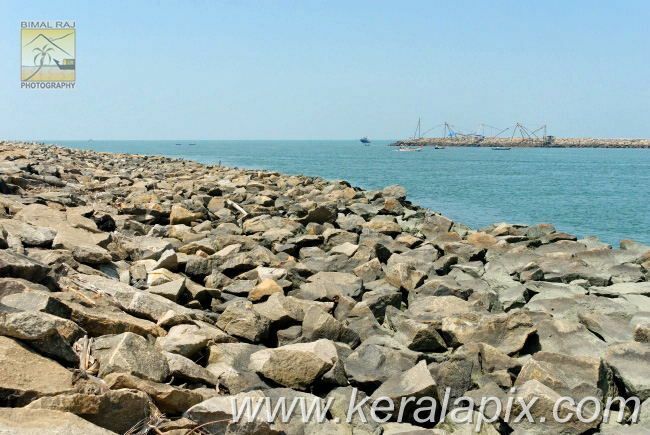 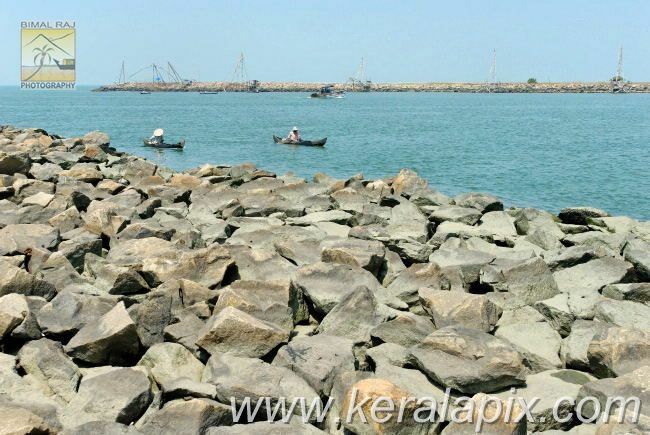 The large expanse of granite stones used for the construction of the dike, Munambam, Cherai. 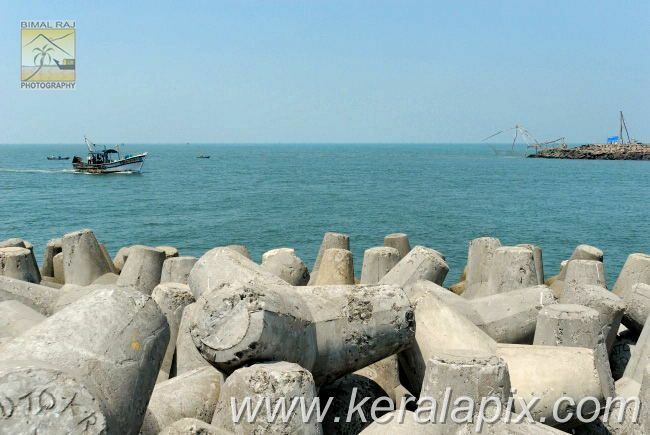 The tip of the embankment is protected by huge four legged concrete blocks. 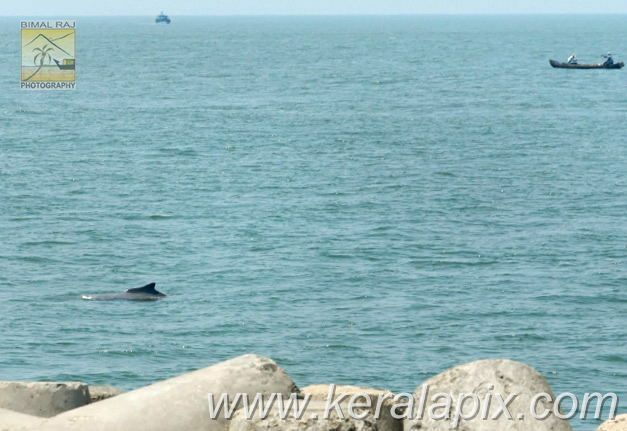 Dolphin sighting is usual here. 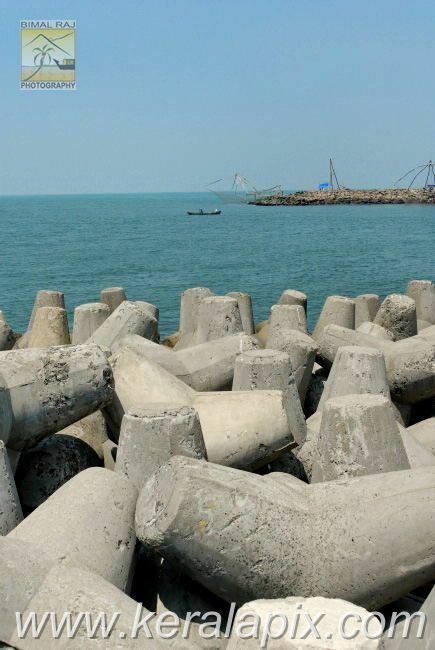 This image is cropped from original. 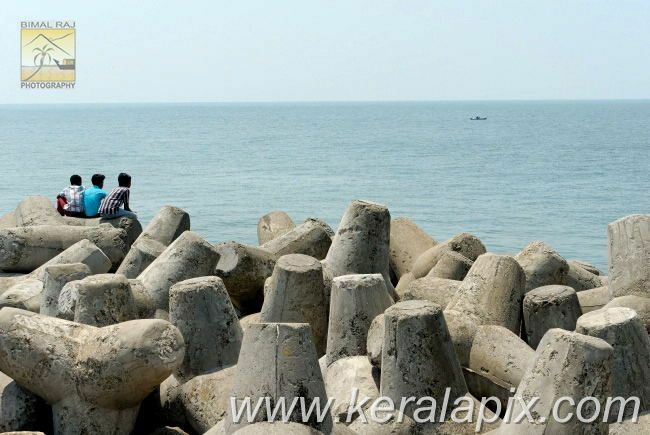 Boys sitting on concrete blocks observing the Arabian sea, Munambam. 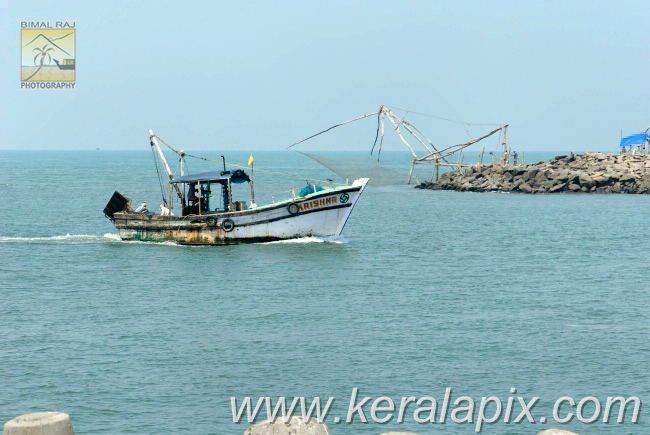 A boat setting out to Arabian sea. 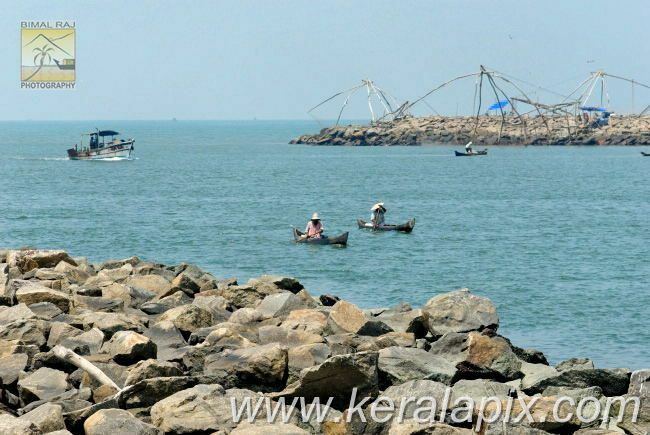 A sight from the embankment.